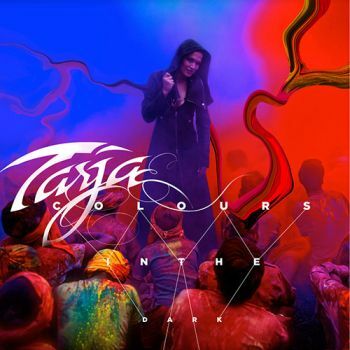 TARJA - COLOURS IN THE DARK VINYL (2LP) | Online Shop | Wizard LTD. Album: "COLOURS IN THE DARK VINYL (2LP)"
The cover artwork for "Colours In The Dark" was created by Dirk Rudolph and can be seen below. Despite her light and shiny personality, Tarja&apos;s music has always been dressed "in black" — the color of heavy rock, of mystery and elegance. With Tarja&apos;s new album, fans will find out what happens when a splice of color is added to the mix. Or — better said — when the full-color spectrum enters the picture it does not cover the black but makes it shine through with many emotions and landscapes. Mixed and mastered by Tim Palmer (PEARL JAM, U2) in Austin, Texas, the songs on "Colours In The Dark" do not shy away from taking a risk and surprising musical turns, introducing new sounds and new musical atmospheres. Still, they maintain a heaviness that will surely bring a big smile to the hardest of rockers. With its grand orchestra and choir arrangements, Tarja&apos;s next milestone emphasizes once again the impressive vocal range of the Finnish artist and shows her artistic growth. With ten brand new songs and over one hour of music, "Colours In The Dark" is definitely going to be one of the brightest moments for rock in 2013.